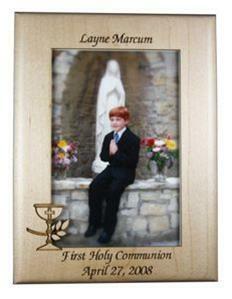 Our personalized First Communion frame is a great gift. We engrave the name of the communicant and the date of the First Communion. The picture frame holds a4x6 photo. 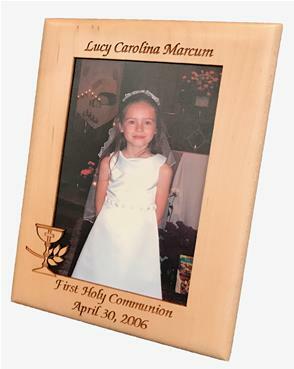 Each Frame is Personalized with the following information: Name of the Communicant, First Holy Communion and the date of the First Communion. Image of a Challice and Olive Branch cut into the photo area. Engraved on back of frame.